Seaplanes and tropical ambiance make the perfect Fijian honeymoon . erfect for romance, Fiji provides the most magical backdrop for a honeymoon. From the lush tropical foliage to the organic volcanic rocks to clear lagoons, it's nothing but exotic island vibes in the South Pacific. Conceptualized by Fiji wedding blogger Bula Bride and captured by Fiji wedding photographer Leezett Photography, the creative team envisioned elegant honeymoon wardrobes paired up with the natural beauty that is the Mamanuca Island group and one sweet seaplane. The gorgeous getaway resort, Vomo Island Resort Fiji, boasts two private islands that are completely secluded and uninhabited -- making it the ultimate honeymoon destination for couples looking for a truly intimate vacation as newlyweds and the ideal setting for this romantic style inspiration. 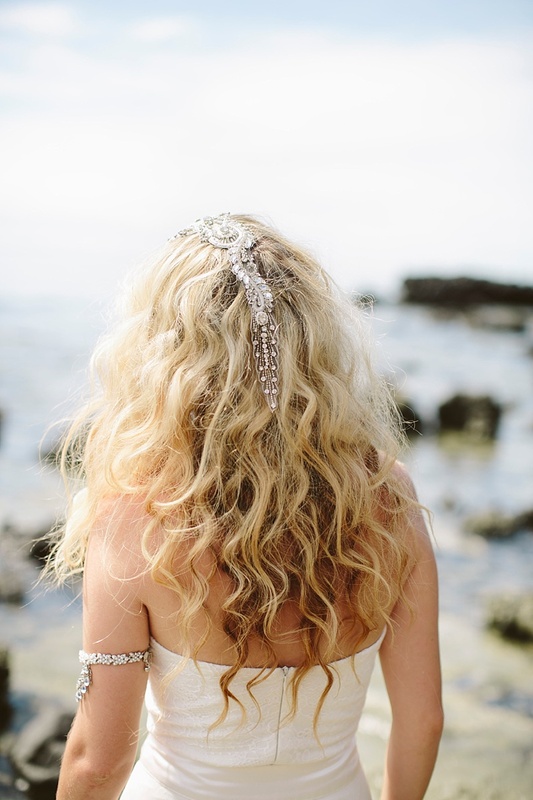 With long flowy sheer robes by Candice Lee and elegant silver anklets from Forever Soles, these two bridal looks have us dreaming of ocean love, quiet moments, and fashionable honeymoons.